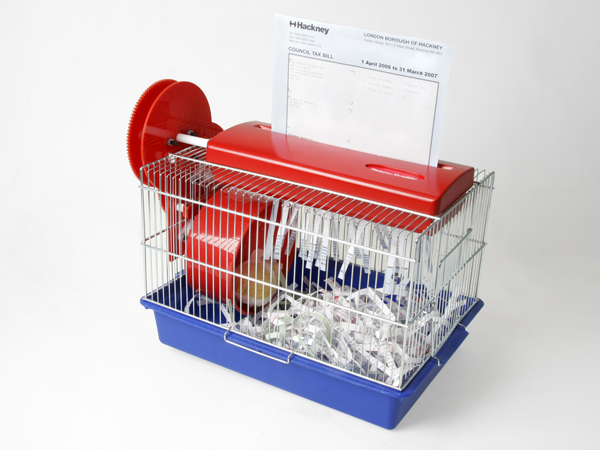 “Hamster Shredder” is an ingenious hack — the hamster-powered paper-shredder fills the cade with shredded paper bits that the little guy can use to line the nest. I like this. Let’s get a hamster.